Take the debate over who’s the best golfer in the world. 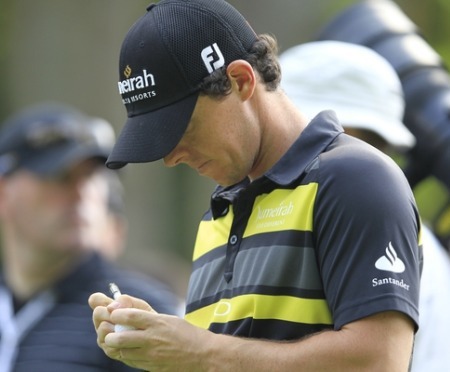 As world No 1, McIlroy is statistically the top dog. He might have missed the cut in The Players Championship but given his form over the past nine months he has every right to consider himself the best. And he said so too. So when did he start thinking that he was the best player in the world? When asked the same question, world No 2 Luke Donald and No 3 Lee Westwood were more modest in their replies. Bereft of the world No 1 ranking, they weren’t about to put their necks on the line. “Doesn’t Rory have the edge? 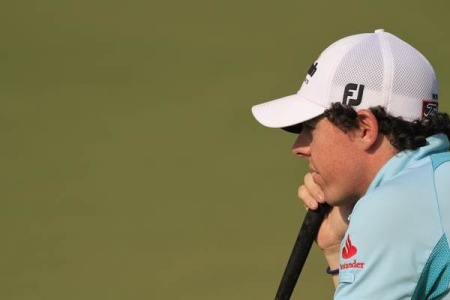 He’s ranked world No1 so he must have the edge,” Donald said when it was suggested that might be superior to McIlroy. While McIlroy has no problem thinking he’s better than the opposition, Donald ran from the question. Westwood hadn’t the heart to claim he was the true No 1 either. Martin Kaymer confessed that he found being No 1 a burden. He longs to make golf a comfortable adjunct to a “normal life”, not the be all and end all of his existence. McIlroy wants to do normal too, but in reality he loves the limelight. He believed he could compete with the best before he had even left the amateur ranks. 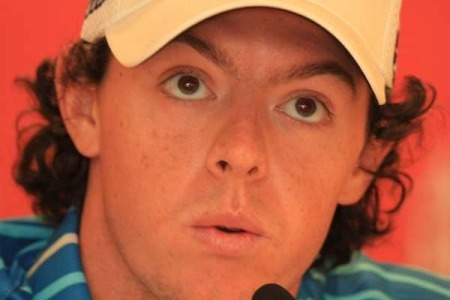 Comparing McIlroy to Westwood or Donald is not a fair fight. In less than five years as a professional he has risen to world No 1, won a major and contended seriously to win at least another three. Winning the BMW PGA at Wentworth would make him just the second Irishman to lift that coveted title and the first since Harry Bradshaw in 1958. He wants to win the Memorial too, which is his next start before his US Open defence at the Olympic Club. After than it’s the Irish Open in Royal Portrush and then The Open at Royal Lytham and St Anne’s, a course where he’s done well as an amateur. “I’m looking forward to going to Portrush for The Irish Open. I think it’s going to be a great week. It will be a good atmosphere. The crowds will be fantastic. I think I’ve played the course once since they have put the new tee boxes in. “But it’s a very, very fair golf course. If you ask anyone who plays Portrush, they will tell you it’s very fair. You get rewarded for good golf. And, yeah, it’s great, for me personally, it’s great because it’s going to be my last event before The Open championship. “So to play an event on a links course; I’ll be playing links golf for three weeks going into the Open, which is going to be fantastic. That’s something I’m looking forward to. Those who believe that McIlroy has no chance of winning a major on a Pete Dye course had better think twice, according to the man himself. Sure, he’s had trouble at Sawgrass, where he’s missed the cut each of his three appearances. But while he also found Dye’s Whistling Straits a challenge off the tee, he managed to finish third in the US PGA there two years ago. So why should he fear a windy test at Kiawah Island? “It’s okay. Whistling Straits was a Pete Dye course, and I was able to do pretty well there. There’s one Pete Dye course that I don’t do so well at; I think everyone knows that. It’s a summer that tees off for McIlroy today alongside Ernie Els and Martin Laird. Now that he’s talked the talk, it’s time to walk the walk. Even the B version. Rory: "If you want to be in the circus, you have to put up with the clowns"
Rory McIlroy speaks a his media conference ahead of the BMW PGA Championship at Wentworth. 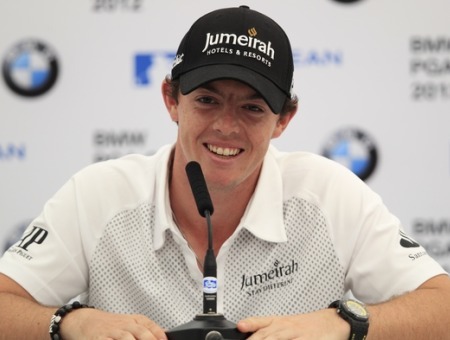 Picture: Fran Caffrey/www.golffile.ie Rory McIlroy appeared unlikley to address speculation that he is leaving Horizon Sports Management to strike out on his own when he spoke to Sky Sports shortly before his media conference ahead of the BMW PGA Championship at Wentworth.